Aisling is one of Ireland's most exciting harpists. She has performed throughout Ireland, the UK, Europe, USA and Asia. Aisling is available for all concerts, recitals, weddings and events. 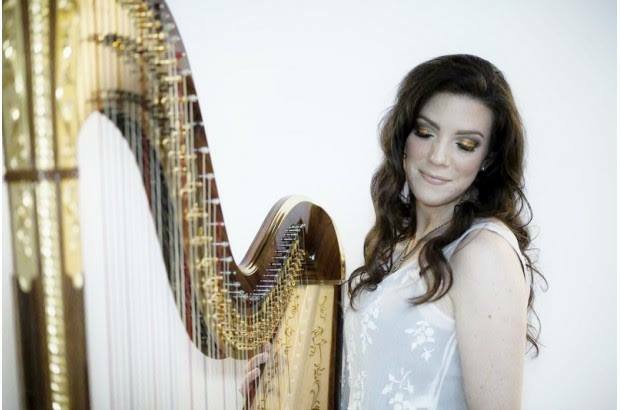 Aisling is one of Ireland’s most exciting harpists and most sought after musicians. She has performed all over the world as a solo, chamber and orchestral musician. Aisling offers a nationwide service and specialises in working closely with her clients to create the perfect ambience for any occasion. Due to international commitments, Aisling availability is limited so be sure to secure your date early to avoid disappointment. Aisling creates the perfect atmosphere for her wedding clients. Through ongoing consultation with you, Aisling creates the sound track that will accompany the most important part of the day – your ceremony. Aisling also performs during the reception and special requests are always welcomed. Some of the ‘more interesting’ special requests have included ‘Nothing Else Matters’ by Metallica and ‘Don’t Wanna Miss a Thing’ by Aerosmyth. Aisling’s taste and skill in music making is vast and she delights in new challenges. As a result, Aisling can perform the most contemporary of pop and rock music, and wow your guests with solo virtuoso harp cadenzas and concertos during the same performance. Your wedding is the story of you and your loved one, let Aisling’s music help to tell your story. Aisling can also organise any number of options for your wedding day. She performs with many highly sought after and award winning ensembles but can equally tailor make a package to suit your personal style and taste! All packages can include both ceremony and reception music. Contact Aisling now and create the perfect soundtrack to your perfect day! Following their performance in Boston, February 2014, Pullitzer Award-winning journalist Kevin Cullen wrote an emotional review of the girls debut at Steinert Hall. Read the full review here.